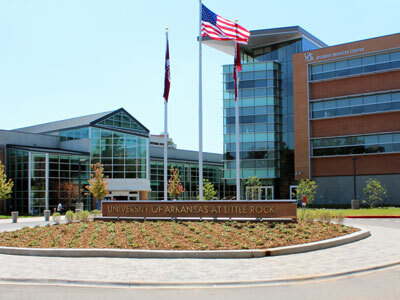 University of Arkansas at Little Rock students have the chance to win a trip to the nation’s capital to visit the National Museum of African American History and Culture. In honor of Martin Luther King Jr. Day, which will be observed Monday, Jan. 16, this year, the UALR Anderson Institute on Race and Ethnicity is sponsoring an essay contest for undergraduate UALR students to promote knowledge of African American history. The winners will receive a trip to Washington, D.C., during the weekend of April 7-9, which will include visits to the National Museum of African American History and Culture and the Martin Luther King Jr. Memorial. Opening on Sept. 24, 2016, the museum is the only national museum devoted exclusively to the documentation of African American life, history, and culture. To date, the museum has collected more than 36,000 artifacts. Essays should be submitted as a Microsoft Word document or PDF attachment to race-ethnicity@ualr.edu by midnight on Tuesday, Feb. 28. Essays should not contain any personally identifying information. Students should include their name, T-number, declared major, email address, and phone number in the body of the email. For more information, contact the Anderson Institute of Race and Ethnicity at 501.569.8932.